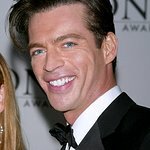 JDRF Los Angeles announces that multi-talented singer, musician, composer, actor, and TV personality Harry Connick Jr., one of today’s most influential entertainers, will headline the annual Imagine Gala on May 4, 2019 at The Beverly Hilton Hotel. JDRF (formerly Juvenile Diabetes Research Foundation) is dedicated to improving lives and curing Type 1 diabetes in children and in adults. Over 600 entertainment executives, celebrities, top business executives, community and civic leaders, medical professionals and philanthropists are expected to attend and to support JDRF’s life-saving research to cure, treat, and prevent type 1 diabetes (T1D). The evening will include entertainment, a cocktail reception, dinner, silent and live auction items, culminating in its signature call-to-action, Fund A Cure. Fund A Cure is a unique opportunity for 100% of donations received to go to ground-breaking research. Since its inception in 1970, JDRF has funded virtually every major breakthrough in diabetes research. The path to a cure for diabetes is as complex as the disease itself, but tremendous progress is being made daily and the goal is in sight.